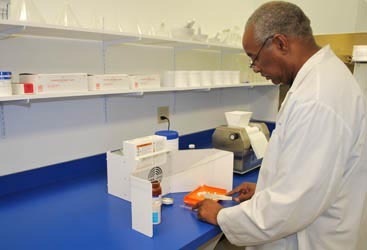 Sentry Air Systems Pharmaceutical Powder Containment Hoods allow pharmacists or pharmacy students to safely compound, weigh, or measure prescription dosages. These ductless systems utilize a powerful fan and filtration system that pulls harmful airborne powder and particulate away from the operator’s breathing zone and directly into the HEPA filter, which is up to 99.97% efficient on particles 0.3 microns and larger. 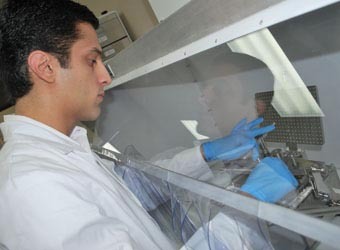 Other filter media options are ASHRAE [up to 95% efficient on particles 0.5 microns and larger] and ULPA filters [up to 99.9995% efficient on particles 0.12 microns and larger]. 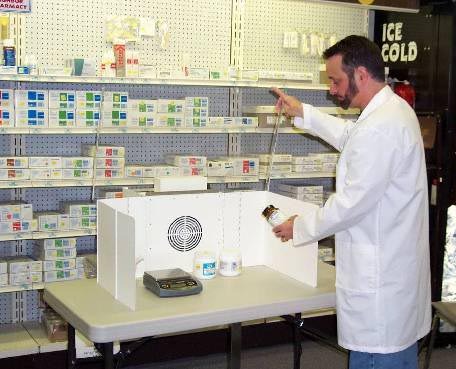 Sentry Air’s Pharmaceutical Powder Containment Hoods are portable and ductless [no exterior ducting required]. 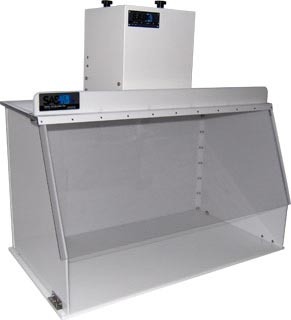 These units also feature a variable speed controller for manual air volume adjustment and an optional Magnehelic Gage to monitor filter saturation. 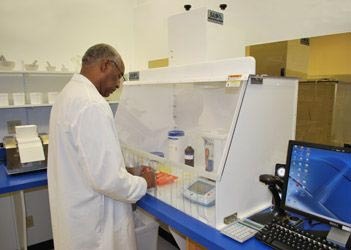 Pharmaceutical Powder Containment Hoods can be used for powder weighing, capsule filling (tablet encapsulation), compounding creams, and a variety of other processes that require containment and filtration. 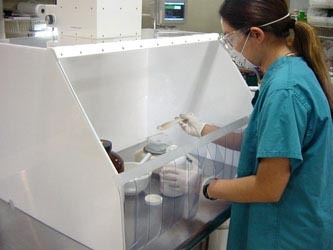 Our line of pharmaceutical powder containment hoods are not intended for sterile compounding applications.